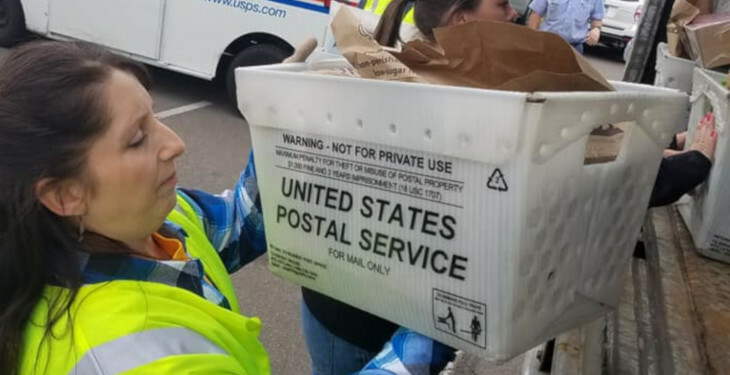 UFCW Local 663 will again volunteer with the National Association of Letter Carriers union for Stamp Out Hunger, the nation’s largest one day all volunteer food drive on Saturday, May 11, 2019! We’ll help unload the postal vehicles full of food and load them into the truck throughout the day. Sign up for a shift at one of the UFCW Local 663 locations today by talking to your union representative! Volunteers are most needed from 3 p.m. until 6 p.m. Please note: this work is physically demanding, with a lot of bending and twisting while lifting grocery bags of food. While the food isn’t heavy, it is consistent and repetitive movement. This event is rain or shine, so please dress for the weather. To sign up, talk with your union representative or call the office at 763-525-1500. Check out other good things we are doing to help working families in our communities, such as Labor Against Cancer. Shop Union this Father’s Day! 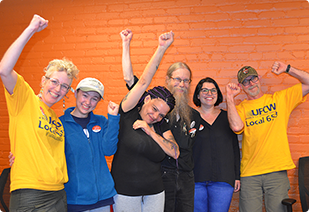 The United Food and Commercial Workers Union Local 663 represents Midwest workers in packing houses, grocery stores, food co-ops, healthcare, the public sector and exposition services. The United Food and Commercial Workers Union Local 663 represents many jobs, including grocery store workers, nursing home employees, exposition services and paramedic ambulance employees. © 2018 United Food and Commercial Workers Local 653. All Rights Reserved.